Want to play like Federer?? Come play with the Pros! Whether you're new to tennis or a seasoned player looking to up your game we have classes to suit you. We have two U.S.P.T.A. certified Pro 1 instructors with over 30 years of experience. They teach private & group lessons as well as year around junior and adult developments for all levels. Contact us online if you are ready to begin your training! Our Junior Development Programs offer incentives for juniors of all ages and levels of ability. Whether you goal is to be a regionally ranked player or to enjoy the social and recreational aspects of the game, we have a program for you. We make tennis fun! 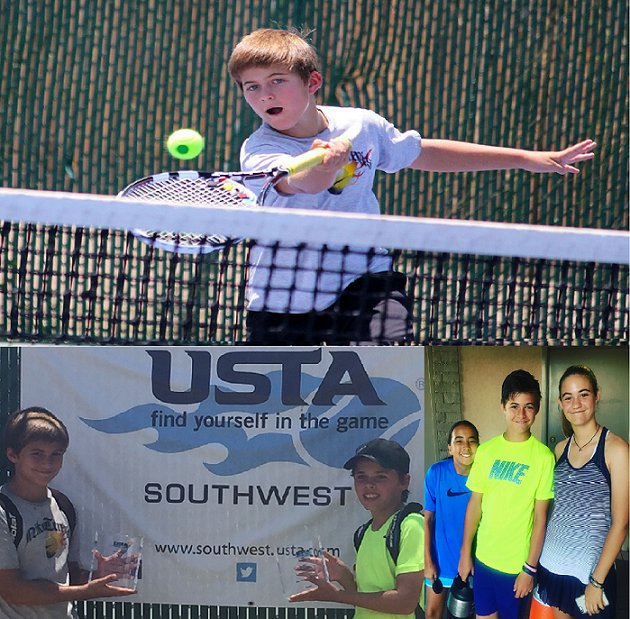 Our Pee Wee program is for children between the ages of 4 to 5 years old who can begin to enjoy some of the basic aspects of tennis. At this age, we expose kids to the game with hand eye coordination activities. Our main goal is to get kids interested in the game while teaching them the basic fundamentals of stroke development. Our Junior Aces program is for children ages 6 to 9 years old, where as the Future Stars program is for children 8 to 12 years old. Introduction to all aspects of stroke production and hand eye coordination drills are the main focus in these programs. We play low key competitive games such as tennis baseball, ball alive and team tennis. Each group is given a court test every month to evaluate their progress and determine advancement to the next level. In the Beginner Conquistadors/Conquistadors programs the children's ages range from 9 to 16 years old. The Beginner Conquistadors is for kids in this age range that are new to tennis, showing them proper stroke development. The Conquistadors group is for intermediate players that are becoming exposed to tournament play. To qualify each junior must be able to sustain a rally of 20 hits from the baseline with the pro. We emphasize stroke production, footwork, strategy and conditioning. The top ranked juniors in this group get chances to try out for our advanced tournament level group Wimbledons. Tier I, II & III. 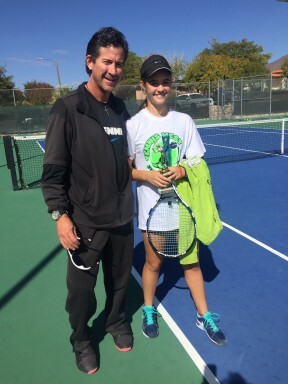 The Wimbledon program is designed for the junior whose goal is to play at the tournament level. THIS IS AN INTENSE PROGRAM. This group focus is on drills, strategy, long range planning, conditioning and match play. Our pros run drills and play matches with everyone in this group. Integrated into this program are mental conditioning, game analysis, goal achievement, interclub matches, and out of town tournaments. Our pros will observe and analyze juniors who play in local tournaments. We promote teamwork and confidence through task achievement. We periodically have parties to encourage their friendships. If your goal is College play then this program is for you. To fully develop the talents each student has. Champions aren't born, they are made!! !